Sometimes heroes wear capes. Sometimes they wear fishnets and roller skates. For the fourth year in a row, the American Red Cross, Brown Paper Tickets and roller derby leagues will team up to encourage donors to give Blood for Life. Summer is one of the most challenging times for the Red Cross to collect blood and these drives save lives. Each Blood for Life drive will offer temporary tattoos, autographs, photo opportunities (while supplies last) and more to inspire bravery. This year, New York joins the party—the national roller derby blood drive series will launch at the American Red Cross headquarters in Manhattan, hosted by the New York Shock Exchange on Saturday, July 16. Roller derby athletes are tough, but also have a soft spot for giving. “Community service is written in the charter of every roller derby league worldwide,” said Jerry Seltzer, Brown Paper Tickets derby outreach representative, former commissioner, and son of the sport’s inventor. “Blood for Life drives have consistently attracted more donors because there is a deep connection between roller derby leagues and their communities,” he explains. Blood for Life roller derby dates are scheduled in New York, Pennsylvania, Massachusetts and California. Check back often for current listings or go to the Red Cross and type in the sponsor code: DERBY. 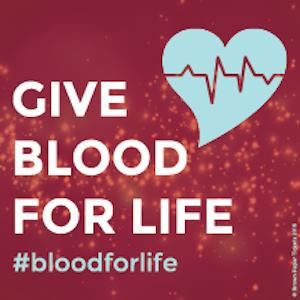 Share your stories and pictures at #bloodforlife. Saturday, July 16 (New York, New York): Join the New York Shock Exchange from 10 a.m. to 3 p.m. at the American Red Cross of Greater New York, Halls H and J, 520 West 49th Street. Saturday, July 23 (Stony Brook, New York): Join the Strong Island Derby Revolution from 10 a.m. to 2 p.m. at the Hilton Garden Inn Stony Brook, 1 Circle Road. Saturday, July 30 (New York, New York): Join the Gotham Girls Roller Derby and co-hosts Suburbia Roller Derby from 10 AM to 3 PM at the American Red Cross of Greater New York, 520 West 49th Street, Halls H and J.
August 1-31 (Garden Grove, California): Access the High Tide Roller Derby Facebook Blood Drive to set an appointment to donate blood at several different community blood drives in August, and to view selfies that the league is inspiring donors to post while giving blood. Friday, Aug. 12 (Santa Cruz, California): Join the Santa Cruz Derby Girls from 11 AM to 5 PM at Staff of Life Natural Foods Market 1266 Soquel Avenue. Sunday, Aug. 14 (Roxborough, Pennsylvania): Join Philly Roller Derby from 9 AM to 2 PM at the Roxborough Memorial Hospital, 5800 Ridge Ave, 1st floor Auditorium. Friday, Aug. 19 (Livermore, California): Join the Quad City Derby Bombshells from 1-7PM at the Asbury United Methodist Church, 4743 East Ave.
Saturday, Aug. 21 (Middleborough, Massachusetts): Join Mass Attack Roller Derby (time to be announced) at the Middleboro Elks Club, 24 High St.
Saturday, Aug. 27 (Trumbull, Connecticut) Join the CT RollerGirls at a date, time and location to be announced. Saturday, Sept. 24 (Redwood City, California): Join the Peninsula Roller Girls at 11 AM to 4PM at The Redwood City Woman’s Club 149 Clinton Street. TBA (Hudson Valley, New York): Join New York Firestorm at a date, time and location to be announced. TBA (Philadelphia, Pennsylvania): Join Penn Jersey Roller Derby at a date, time and location to be announced. TBA: (San Jose, California): Join the Silicon Valley Roller Girls at a date, time and location to be announced. TBA: (Fremont, California): Join the Bay Area Black Widows at a date, time and location to be announced. TBA: (Hollister, California): Join the Faultline Derby Devilz at a date, time and location to be announced. Any roller derby league wishing to bring the Blood For Life roller derby blood drive series to their hometown should email organizers. Tags: blood for life, donating blood, red cross.